Part of the 2 West Bedroom Collection. Features English dovetail drawers and full-extension ball bearing drawer glides. Available custom finished or factory finished. Shown factory finished in Driftwood. 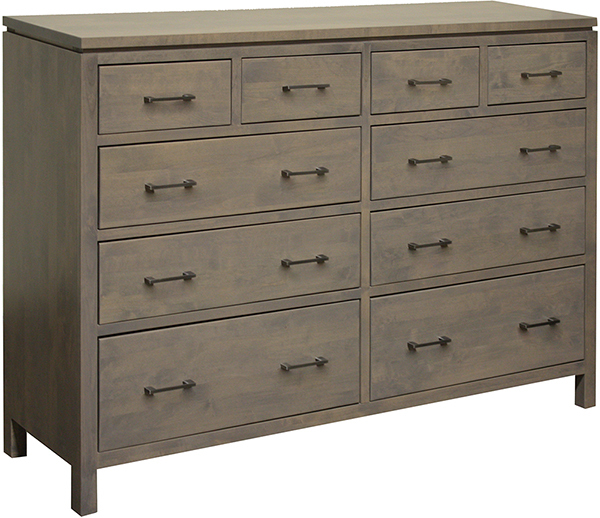 Hardware options: oil-rubbed pewter (shown) or oil-rubbed copper. Contact store for details.